Please check your student's backpack this afternoon for their2nd Trimester report cards. As you review this information, in addition to noting the areas of growth in academics and life skills, please look over the attendance section. Our handbook states thatten or more absences in a trimester is considered excessive and four or more tardies in a trimester is considered excessive. We only have your student for 180 days and regular classroom attendance is a critical part of meeting the standards for "academic excellence, spiritual awareness, emotional support, and physical well-being" as listed in our mission statement. TheHawaiian Nights auctionis our biggest fundraiser of the year. It is through this fundraising effort that we are able to maintain a reasonable tuition rate and provide a high quality, faith-filled learning environment.Tomorrow, you will receive and email to let you know the on-line auction has gone 'live'. There are approximately 200 items up for bidding with the proceeds supporting all our school programs.Thesocial evening andlive auction will take placenext Saturdayat the St. Mary's Soda Centerand we ask that youpurchase your ticket for that event no later thanthis Fridayso we can let the catering staff know our numbers. To celebrate this wonderful event, our students may have"Hawaiian" FreeDressnext Thursday.Students are encouraged to come to school in their best tropical attire while adhering to the free dress guidelines in our handbook including proper "coverage" and shoes with a heel strap for safety. Sunglasses and hats may be worn during recess and lunch but not inside the classroom. Please remember thattuition contractsfor the 2017-2018 school year aredue by this Friday, March 17th. Your cooperation is greatly appreciated as we have several classes with waitlists. This Sunday is a Rise and Shine Mass at9:30am. I hope you will be able to join us as our3rd gradersin school and faith formation reflect on "Random Acts of Kindness" that they can do during Lent. I wanted to review rules regardingstudents at Café Perpetuaon Fridaymornings.Students must be accompanied by an adult while purchasing items at Café.Children can enjoy their Cafe treats in the student gathering area in front of the school.Food and beverages need to be finished outside before the start of the school day. 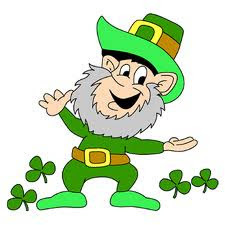 Finally, some darling leprechauns tracked me down today and were very concerned about how many students might get in troubleon Fridayfor pinching if we didn't have a GREEN free dress for St. Patrick's Day. I am not sure if it was their compelling argument or if those leprechauns tricked me, but I did let them know that we can haveGreen Free DressonFriday, March 17. Lord, your commandment of love is so simple and so challenging. Help me to let go of my pride, to be humble in my penance. I want only to live the way you ask me to love, to love the way you ask me to live. I ask this through your son, Jesus, who stands at my side today and always. 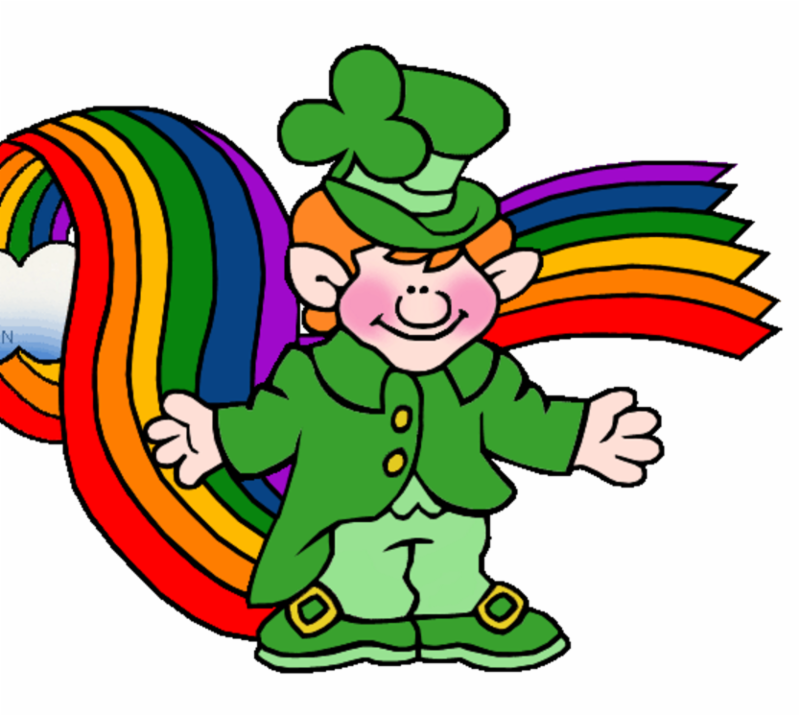 Cafe Perpetua celebrates St. Patrick's Day! St. Perpetua 'Hawaiian Nights' Auction Evening at St. Mary's College! Purchase Auction Tickets ASAP for our2017 Hawaiian Nights AuctionParty! Here is thelinkto Purchase Tickets! Online Auction OpensTOMORROW, so get ready to BID! Sign Me Up Parties are now online! Sign Me Ups ~ great parties to rally some friends and meet some new ones! Class Traditions ~ purchase your child's class tradition here for 1st,2nd,4th,5th,8th. Here is the purchaselink!If you've already purchased your item, please come into the office this week to pick it up. Maui Raffle ~ purchase ticketshere! Robert Coin Diamond Necklace raffle ~ purchase ticketshere! If you would like to buy a raffle ticket for a staff member for the Roberto Coin necklace, sign uphere! You can also buy raffle tickets atthis Friday'sCafe Perpetua! Did you wait in line for days to try to gettickets to Hamilton? Did you think the American Express pre-sale was going to get you in the door? We all did!! But, for some lucky bidder, 2 tickets to Hamilton can be yours!Package includes tickets, one-night stay in a luxurious SF hotel, dinner at Jardiniere, and a Hamilton 'Swag Bag'!Come to the Live auction ready to bidearly and often - this package is sure to garner many bidders! 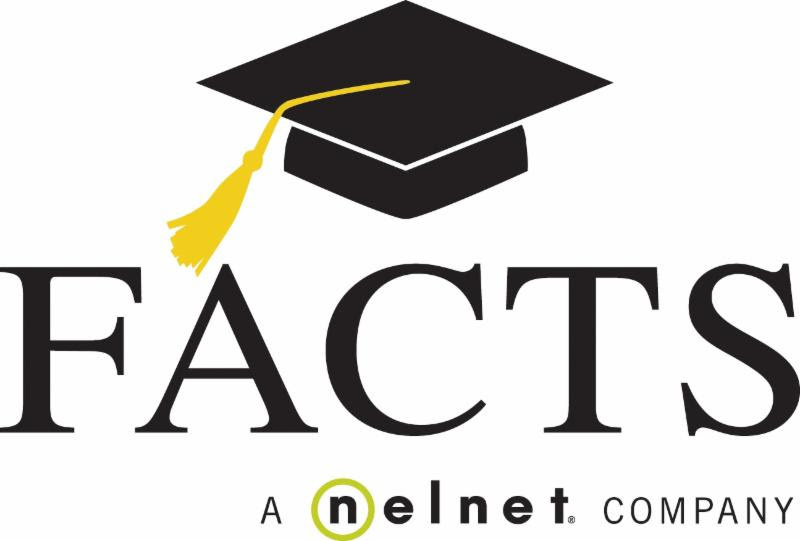 FACTS is the Diocese Financial Aid partner for Tuition Assistance the upcoming school year. An overview document can be foundhere.The application link can be foundhere.If your application is submittedbeforeMarch 16, you will be considered for aid available through FACE (Family Aid for Catholic Education)andSt. Perpetua School.If you application is submitted after March 16, you will considered for aid availablesolelythrough St. Perpetua School. Our Lost & Found table is overflowing!Please stop by the table outside the school office and check for any items your child may have lost.All unclaimed items will be donated onFriday, March 17th. Please join us incelebrating St. Patrick's DaythisFridayat Cafe` Perpetua!We will be featuring Irish soda breads, key lime pies, shamrocks in darling containers, flower arrangements and St. Patty's Day decorations.While you're at the Cafe, be sure to pick up a few of Mrs. Meo's deliciousRuben sandwichesfor dinner! We look forward to seeing you andthank you for supporting your children's Garden of Learning! Knightsof ColumbusCorned Beef and Cabbage Dinner onSaturday, March 18th,in the Parish Hall. Social Hour begins at6:00 p.m.The delicious buffet feast is served about7:30 p.m. Call Dave Tedesco at 256-8534 to reserve your spot. Tickets are $20 for adults, $10 for teens, and children 12 and under eat free.Buy ticketsHERE! March Madness is here!Are you ready to prove your basketball knowledge while also helping to raise money for a charity?Any student from TK to 8th grade can participate.Full instructions can be foundhere. Submit a completed March Madness Bracket sheet (download here) and$2.00 cash. Sheets must be submitted to your teacher by8:00 amon Thursday, 3/16. The winner will choose a charitable organization to receive 100% of the proceeds.Contact Brian Voltattornibvoltattorni@csdo.orgwith any questions. all it takes.NO drop-ins on this day please. and see if they will work in their schedules.Sign up flyers coming next week. remaining weeks in March! We've got some very appreciative, thankful children. service hours for your donation! Sign uphere! Snack donation: There are late March slots that need to be filled.Sign uphere! Here are some March enrichment events sponsored by SEEDs! An author is coming to visit our youngest students ingrades TK - 3. Thank you SEEDS for sponsoring this Author Visit! Madeleine Dunphy, author of the non-fiction series, "Here is Antarctica" (and others) and the new fiction book, "Cat in the Night" will present her books on the morning ofMarch 23rd, in the library. Your child can pre-order any of her books to be signed by the author. The order form ishere. Please submit orders byMonday, March 20th, so that the author has time to gather the requested books from her publisher.Checks for pre-orders should be written to Web of Life Children's Books. Students in older grades can also order books and have them signed during Recess onMarch 23rd. You may contact Stacey Hinton atshinton@csdo.orgwith any questions. Up-and-coming author, Jonathan Stokes, will be holding an assembly for our students inGrades 3-6onMarch 30th. His new adventure novel, "Addison Cooke and the Treasure of the Incas" has been compared to James Patterson's Treasure Hunters series. Be among the first to meet him before he becomes the next big-and-famous author. His visit will be both educational and inspirational for young authors. The order form for his new book ishere. Please submit orders byMonday, March 27th.Checks for pre-orders should be written to Orinda Books. Students in other grades can also order books to be signed by the author. They will be delivered to their classrooms onMarch 27th, at the end of the day. You may contact Stacey Hinton atshinton@csdo.orgwith any questions. As many of you know, each year our 6th grade students participate in the Caritas Creek Environmental Education Program at CYO Camp.The dedicated staff of CYO Camp also offers asummer recreational program at CYO camp.Students in grades 2-8 are invited to participate in this wholesome and holistic summer camp in an environment rich in Catholic values. Information for studentscurrently in grades 2-5can be foundhere.Information for studentscurrently in grades 6-8can be foundhere.If you would like to receive 'CYO Camp Discount Parent Guide', please email Kim Fogartykfogarty@csdo.org. Additional Camp Information postcards are available in the office. Our three week series on Unity will explore the treasures of diversity and difference as key to the communion of persons we call the human family. Our first reflection will explore the ideal of a family as it is understood and explored in the biblical tradition. Our second reflection will explore the power of community to shape our individual identities. Finally, we will propose practical ways of encountering the peoples of the World. TAKE THE CHILD AND HIS MOTHER AND FLEE - Rev. Thomas P. Bonacci, C.P. I AM A BETTER ME BECAUSE I MET YOU - Rev. Thomas P. Bonacci, C.P. All events take place in the parish hall andare preceded by a simple soup supper at6:15 p.m.with presentations starting at7:00 p.m.